It’s safe to do the Samba through this little rain forest in Morningside. This residential building in Morningside is tiled throughout with ceramic tile. Unfortunately the ceramic tile is extremely slippery when wet. Having this tile at the outside entrance to this building posed a risk to the residents living in the building. 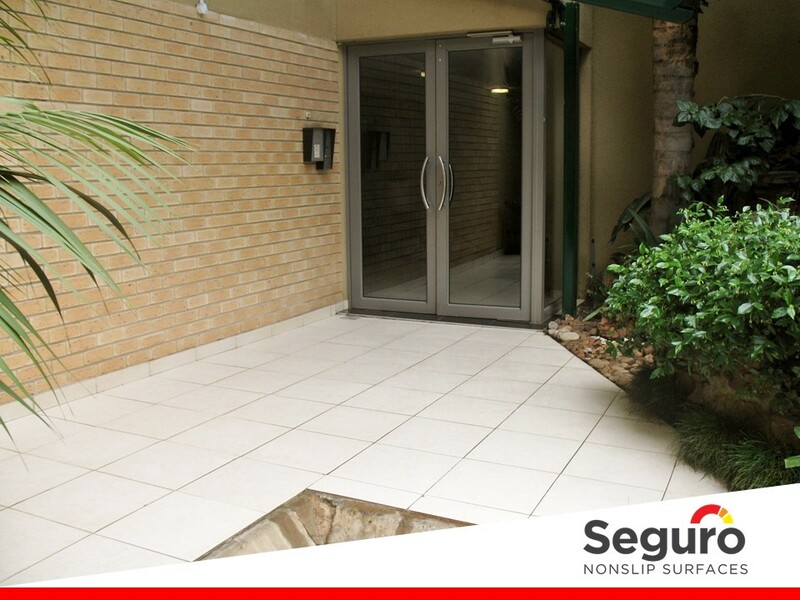 The trustees approached Seguro Nonslip Surfaces for a solution to protect against slips and falls at this entrance. 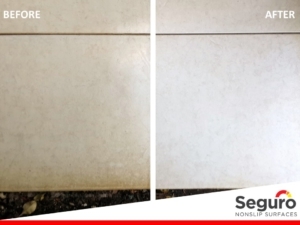 The Seguro Nonslip Surfaces team prepared the area for the anti-slip coating by deep cleaning the tiles and removing stains and scratches bringing the tiles back to their original colour. We then applied the anti-slip coating to increase the slip resistance on the ceramic tiles leaving the entrance safer and more attractive.